[dropcap style=”simple” size=”5″]T[/dropcap]he past year has seen significant changes in American popular culture. In the aftermath of the 2016 federal elections, politics and especially the conservative politicians that control all three federal branches of government have been an increasingly intrusive aspect of daily life, with comedians, newscasters and everyday citizens paying special attention to the workings of our government and political systems. This increasingly political atmosphere has coincided with the rise of the #MeToo movement, when, beginning in 2017, women in media began bringing to light allegations of sexual harassment by powerful men in their industries, as well as a rise national concern about international politics, specifically in the Middle East. It should be no surprise, then, to learn that in all things pop culture in 2018, the ‘80s are back. The political power is shifted to the right in the same way it was 30-odd years ago, and the current wave of female empowerment is parallel to the wave of women “having it all” in the 1980s. Fashion hasn’t escaped with ‘80s parallel. Fall 2017 saw the emergence of tailored gray check suiting as womenswear’s biggest trend, similar to ’80s ‘powersuiting’ on and off of the runway, as well as a rise in the padded shoulders and loud colors that defined ’80s runway fashion. Broad, padded shoulders also became popular in the 1940s. At this time, women began working in non-familial jobs in great force, to make up for the loss of male laborers as World War II raged in Europe. This decade saw the prominence of broad-shouldered skirt suits, often seen as the working women’s fashion standard. However, this silhouette was not first popularized in the 1980s. In fact, it first became prominent in the early 1830s, when the high waistlines and modest shoulders of the Regency era gave way to over-the-top “mutton” shoulders and skirts shorter than previous styles had seen. This era of clothing, too, was reflective of the political and social climate of the time. The mid-19th century saw the beginning of the national abolitionist movement, which opposed American slavery for economic, social, and moral reasons. This movement was a radical change from the status quo in a nation which had used slavery as it’s primary economic engine since it’s very foundations. 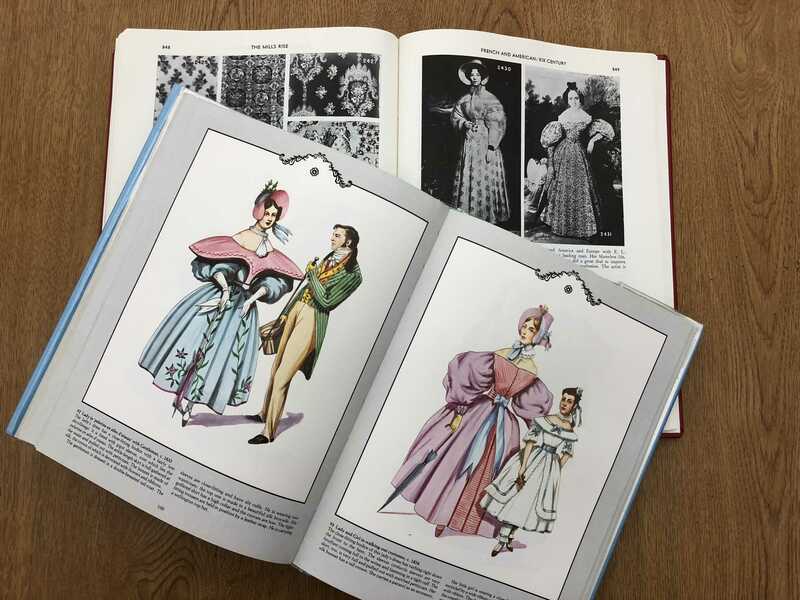 The increased interest in women’s rights and empowerment coincided with the rise of large shoulders in fashion in the 1830s, just as it did in the 1940s, 1980s, and the modern day. This trend is born both out of a desire to appropriate traditionally masculine styles in order to project the traditionally masculine traits of strength and power amidst feminist movement, and an urge to rebel against the strict gender roles promoted by conservative governments. Fashion is cyclical. No “trend” is ever quite original; however, padded shoulders and menswear elements when women’s empowerment and political conservatism are on the rise are some of the prevalent themes of fashion history, showing us that no matter how unique this moment in time feels, nothing is ever an inexplicable phenomenon.